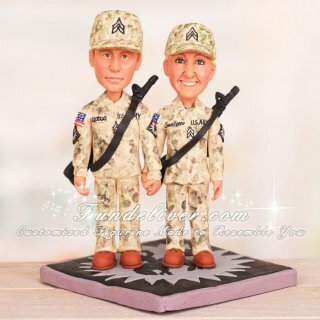 This is a completely customized U.S. Army wedding cake topper ordered by one of our customers. The bride and groom are SGT (Sergeants) in the U.S. Army. 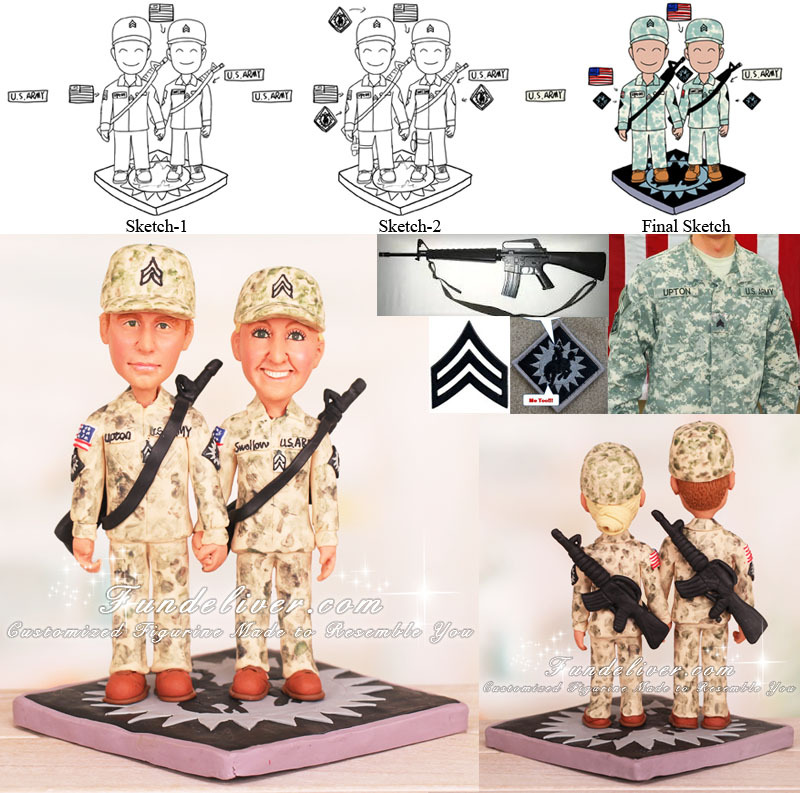 They would like the groom and bride figurine to be in their ACU digital Army uniform with their weapons (M16 slung on their backs, pistols on each of their legs), since the military is where their story began. They would like the SGT rank to be on their ACU digital Army uniform which is located on top of the hat and in the middle chest section of the uniform. On the right shoulder is the American flag (in Color). Under the American flag the groom has the 115th Fires Brigade patch. On their left shoulder they both have the 115th Fires Brigade Patch. The groom’s last name is Upton and the Brides Last name is Swallow. For the base, we designed a big 115th Fires Brigade patch shaped base to accent their career.